Real estate buyers and sellers often ask: Why Is Escrow Important? A simple answer explains the protection escrow provides both the seller and the buyer in a real estate transaction. A formal definition of escrow involves using an impartial third party holding on to something of value during a transaction. In addition, escrow often occurs with handling stock transfers and bulk sales where the sale of real estate and a business occur simultaneously. According to the California Bureau of Real Estate, escrow protects the public by minimizing the risk prevalent in any real estate purchase. Hiring an experienced neutral third party to possess the funds and legal documents until the purchase closes safeguards both parties. The ability to safeguard the buyer’s funds and all necessary legal documents to complete a real estate property sale allows borrowers to safely interact with their lenders. No legal document recording occurs until the release of the buyer’s funds after completion of all other conditions to a real estate contract. Escrow assures protection of all parties. The company or person holding the funds and documents often referred to as the “escrow officer”, “escrow agent” or “escrow holder”. Sellers receive protection in case the buyer gets “cold feet” and backs out of the purchase. The escrow officer holding the buyer’s earnest money deposit can transfer the funds to the seller as a forfeit for violating the conditions of the purchase agreement. Buyers benefit from escrow too. For instance, if the buyer’s home inspection reveals the necessity to repair the roof. The seller agrees to repair the roof. But, afterward, the buyer discovers the roof was not repaired. The escrow holder can demand that the roof is repaired before releasing the buyer’s purchase funds to the seller. Consider escrow as a safety net protecting all parties from injury due to the failure of another party’s responsibilities. Once a real property owner agrees to sell to a buyer a signed contract (purchase agreement) contains the terms and conditions for completing the purchase. The purchase agreement along with the buyer’s earnest money deposit is submitted to an escrow holder. Upon this occurrence, escrow officially opens. Mutual written instructions from the buyer and seller guide the escrow holder towards completion of the purchase. The escrow holder remains neutral in order to facilitate the successful exchange of funds and real property between the parties. In addition, the buyer’s lender also provides instructions to the escrow holder. What is an Earnest Money? When the seller accepts an offer to purchase real property the buyer typically prepares a good faith deposit in the form of a check. The earnest money is paid directly to the seller who might cash it or hold the buyer hostage in order to renegotiate terms not favorable to the seller. Instead, the buyer delivers the earnest money to the escrow holder to use towards the purchase price when escrow closes. In essence, earnest money shows the buyer’s bona fide interest in completing the purchase. It’s held by the escrow holder to protect the buyer while assuring the seller that a deposit occurred. Every party (seller, buyer, lender, and borrower) to a real estate purchase transaction want assurance that no funds or the property changes ownership until fulfillment of every term and condition. Each of these parties agrees to the written escrow instructions and signs them. Every escrow account is unique from others because the conditions and terms of each real estate purchase differ from one another. Once the escrow account opens, numerous steps and documents must be approved during the escrow process. For instance, seller’s disclosures, property survey, securing insurance, home inspections (environmental, pest, post-repairs, etc. ), and many more. The escrow holder issues the Settlement Statement (HUD-1) to the buyer and seller at least three days before the expected closing. The Settlement Statement provides the closing costs, fees, loan terms and other important details for buyer and seller approval. Finally, when all terms and conditions of the real estate transaction occur and the buyer and seller approve their respective Settlement Statements, the escrow is ready for closing. Closing the escrow after fulfillment of all conditions according to the escrow instructions. Includes recording all necessary documents with the appropriate government agency. Lenders often open their own escrow accounts. Mortgage lenders separate some of the buyer’s purchase funds in an “impound” or “reserve” escrow account to pay for the homeowner’s insurance and property taxes. A mortgage requires that these two essential buyer’s costs be paid. Instead of relying upon the buyer to pay them later on, the mortgage lender sets aside the necessary funds to ensure their payment. 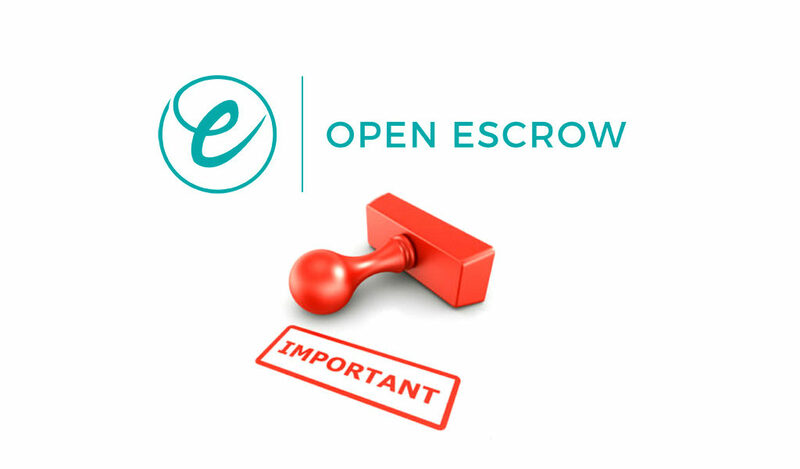 Why Is Escrow Important? This blog post explains the reasons for an escrow along with the duties of the escrow holder. Escrow safeguards funds and legal documents on behalf of the buyer, seller, and lender according to their written instructions. Real estate transaction risks reduced because of escrow.